With a sleek and minimal style, the Eduardo Swivel Chair by Eichholtz will add a touch of modern luxury to your home interior. Crafted with a deep seat and plush fill, the low frame features a winged backrest with contemporary cut-out details. Upholstered in a luxurious clarck sand fabric, the chair is supported with a polished nickel base with a swivel system. 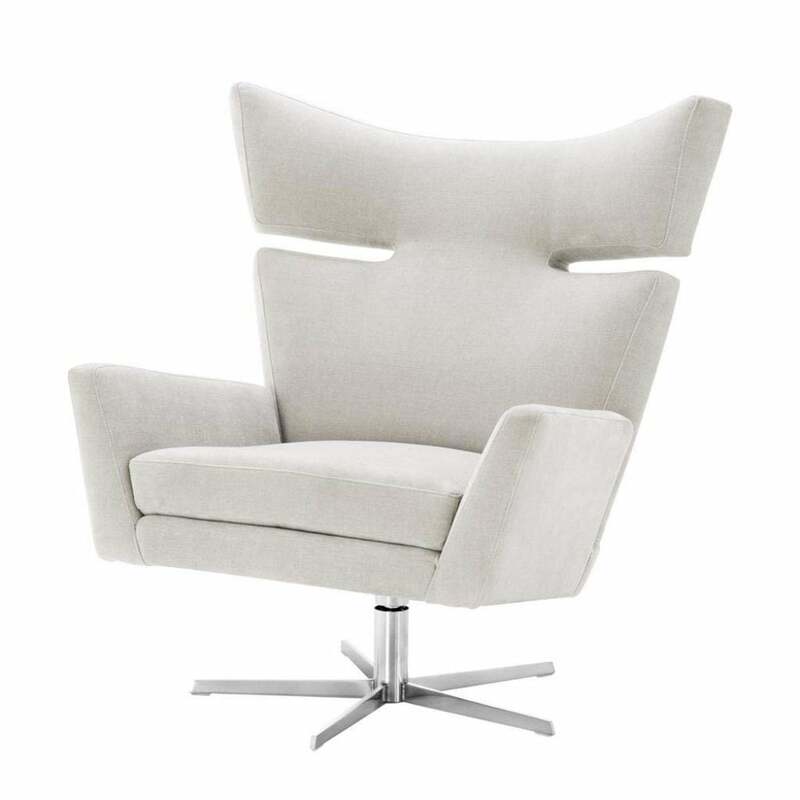 Use as a sumptuous seating solution in a mod living room or create a luxe office space with the Eduardo Swivel Chair. Pair with the Scavullo Desk by Eichholtz for a timeless office interior that exudes sophisticated elegance. Make an enquiry for more information.